This is a device designed by Mr Hume, a Victorian citizen scientist, to enable him to examine the feet of a live frog. 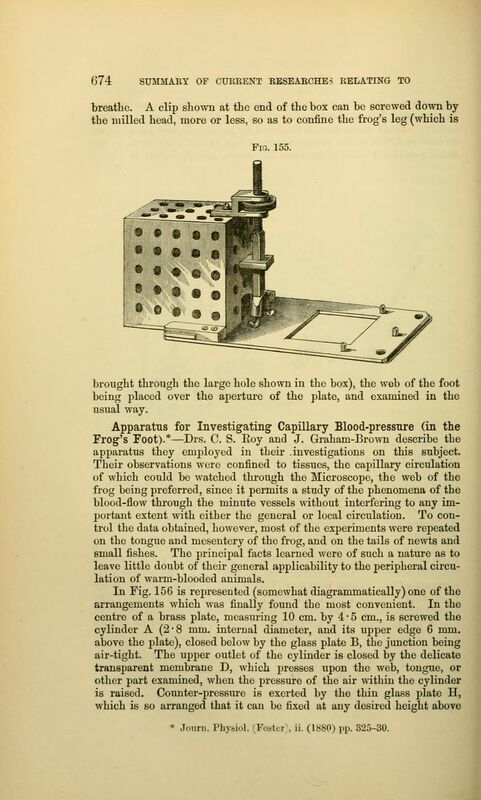 It has been designed, he tells us, “for the greater convenience of the frog while under examination” and incorporates enough holes for the frog to “freely breathe.” It is an article from the 1881 edition of the Journal of the Royal Microscopical Society. You can find out what else latter day citizen scientists were doing by helping to transcribe the Victorian periodicals at www.sciencegossip.org.